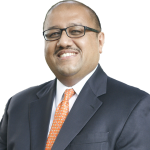 Sujeev Shakya is BowerGroupAsia’s senior advisor and leads the company’s business in Bhutan and Nepal. Working with the BGA Nepal team, Shakya guides the development and execution of strategies to support clients’ interests in Nepal. He is one of the country’s most experienced business and policy advisors, and a respected strategic thinker on the region. Shakya has a fulsome set of networks in the government, private sector and civil society in both countries. He oversees the execution of BGA’s engagement and strategies to support clients’ interests and has worked extensively with multinational corporations, as well as multilateral and bilateral development agencies in Bhutan and Nepal. Shakya is a champion of connectivity in the Himalayas, and serves as the secretary general of the Himalayan Consensus Institute (Hong Kong) which drives important discourse about the economic development of the Himalayan region. In addition to his business focus, he regularly conducts Unleashing Bhutan Unleashing You leadership workshops and leads the Nepal Economic Forum, one of country’s most influential private sector-led think tanks. Shakya is the author of the book Unleashing Nepal, Past, Present and Future of the Economy and is a regular contributor in domestic news media. Shakya speaks and writes extensively on the economy, business, management and development issues inside and outside Bhutan and Nepal. He is a chartered accountant and holds a degree from Boston University and a certificate in coaching from Columbia University.